"Anticosmic Overload", the new video from German death metallers OBSCURA, can be viewed below. The clip was directed and filmed by OBSCURA's own Steffen Kummerer as well as Christoph Harrer as part of their final project in video design at the University of Deggendorf, Germany. The video was shot last November at the Metropolis Music Hall in Munich. 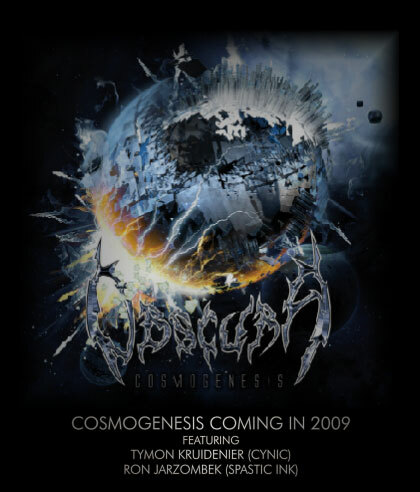 OBSCURA's second full-length album, "Cosmogenesis", will be released in the U.S. on February 17 via Relapse Records (March 2 internationally). The CD features guest appearances from Ron Jarzombek (WATCHTOWER, SPASTIC INK, BLOTTED SCIENCE) and Tymon Kruidenier (CYNIC, EXIVIOUS). "The new album sounds very intense and brutal", the band says in a statement. OBSCURA was founded in 2002 by guitarist/vocalist Steffen Kummerer. After several lineup changes, Kummerer enlisted a new team of virtuoso musicians. 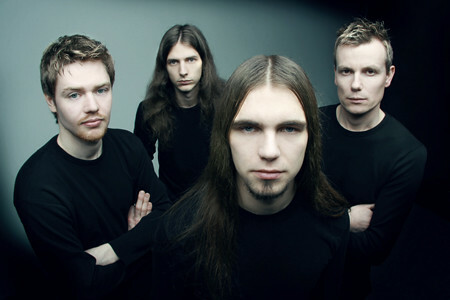 In late 2007, OBSCURA added drummer Hannes Grossmann (ex-NECROPHAGIST) and fretless bassist Jeroen Paul Thesseling (ex-PESTILENCE) as new permanent members. The group's latest addition, guitarist Christian Muenzner (ex-NECROPHAGIST), came into the ranks last year.